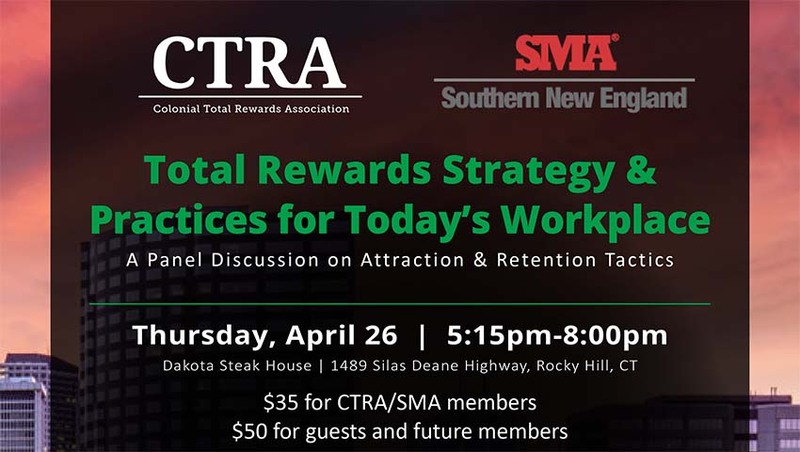 The Colonial Total Rewards and the Staffing Management Associations are sponsoring a special event that speaks to a critical component of an effective and business-focused Human Resources strategy… Total Rewards Strategy & Programs. In this panel discussion, we will offer an insightful, “360” analysis of the techniques that successful companies use to attract and retain talent via their total rewards strategies. This will be a multi-disciplinary discussion with both consultants and practitioners from both talent acquisition and pay and benefits offering counsel based on their experiences in the workplace. During this interactive program, we will answer your questions on the latest trends and practices in total rewards. We will also examine why these trends are occurring based on business context and environment. This program offers credits towards World at Work, HRCI and SHRM certifications.